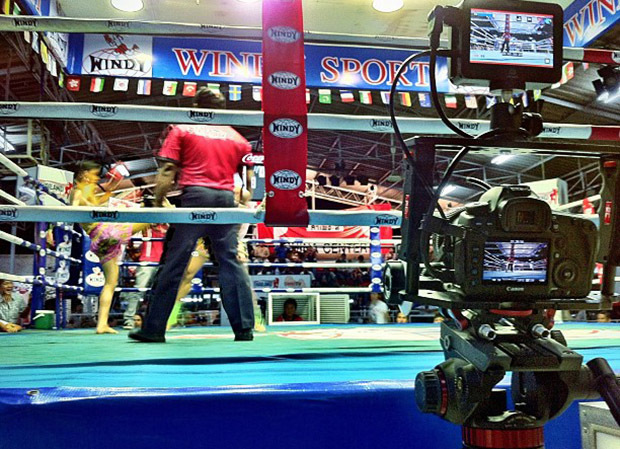 Headed up by Creative Director and DP John Milkovich, and Chief Post Production Editor Jamie Milkovich, Vancouver-based media company Bangshock recently took their Ninja 2 on a shoot to capture the Thailand Superfight Thepprasit Pattaya. The Ninja 2s feather weight and rugged build proved to be the ideal combination for this run-and-gun production. This was our first experience with an external recorder and the Ninja 2 proved to be a pretty decent external monitor too. The build, size and weight are ideal for what we need. says John. No more out-of-focus-stress, and when I combine the 5D III magnification option with the Ninja 2s focus peaking feature Im always on target. I also enjoy the reduction it offers against the effects of image degradation caused by in-camera compression. We tend to use a variety of cameras, depending on the requirements and logistics of the project and we have a good stock of lenses, tripods, lights, c-stands, modifiers, sound etc. Bangshock is a relatively young company, but were past the new kid on the block phase, with some respectable customer credentials in our portfolio. Our current essential assets include GoPro Hero3s, Canon 5D Mk III, and 5D Mk III. We have our eyes on a few HD and 4K cameras - the BMDPC 4K and a NAB rumored Sony DLSR 4K cameras are the front runners - and intend to pair up a Samurai Blade to the eventual new addition. When it comes to rigging with the Ninja 2, weve used Tilta Rig, Jag 35, PNC GB2 Gear Box on an old modified Cavision handheld rig but accessories vary due to shooting environments and project scope - weve also added LEDs, sound kits, focus adapters, etc. The video of the Muay Thai stadium in Thailand was a great configuration, an ideal balance between capturing quality compositions and run-and-gun manoeuvrability. 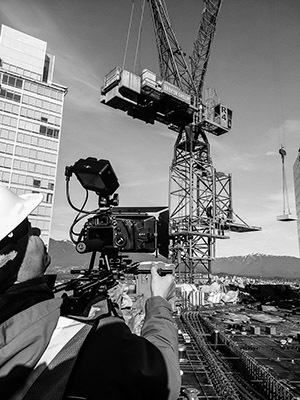 Having the Ninja 2 for that particular shoot significantly upped the production value without limiting or hampering filming. Media is a big consideration for us and every shoot with the Atomos Ninja 2 we pack 2 master caddies with 750 GB Western Digital Black, 7200 RPM hard drives, with a combined capacity of about 15 hours of footage. The WDs have been very reliable and we take care never to completely fill a drive; every production has downtime which gives us a great opportunity to transfer footage onto our ASUS g750 laptop, as well as an external HD. This is a mandatory extra layer of security for us. Clean uncompressed HDMI out of the 5D III does not drastically improve resolution; it does, however, noticeably bump color information from our 8-bit camera sensor to record in 10-bit, giving my colorist more latitude in post. Youd think ProRes HQ would be reason alone to buy the Ninja 2, but I regard the workflow and SmartLog features as a bonus return on investment. On occasion a shot can be dropped, this not to the fault of the drives or the Ninja 2 its the result of camera man error. There are times when you simply cannot resist the urge to rush in for the unexpected There, there, record, hit record, go, go, spur of the moment shot. It happens, you abandon the plan for a quick capture, a dropped shot is the result of an unreasonably methodical set-up, hence vibrations. Its a gamble you must accept on run-and-guns, having said this does not mean you have to be gentle or delicate with the Ninja 2, its a well-constructed piece of Hardware that is built for battle. Im often in situations where you cant always handle with care. Before we committed to the Ninja 2 we had to do a lot of research prior to understand what the value of clean uncompressed HDMI out would do for us. We capture clean uncompressed HDMI out in 10-bit ProRes HQ 4:2:2 quality which offers more color data latitude for editing and every bit-depth helps, so you take it wherever you can. Chief post-production editor at Bangshock, Jamie Milkovich, adds: Once the footage is backed up, it is copied to a Samsung 500GB SSD for editing. I edit with Adobe Premiere Pro CC and color grade with either SpeedGrade or Magic Bullet. The system that Im using is a Windows 7 64bit, i73930k processor-based, Asus P9X79 Pro mobo with 32 GB RAM and a Nvidia GTX 780 graphics card, which gives me the horse power I need, even to edit multiple video layers in real-time.